In response to the critical need for institutions of higher learning to create inclusive educational environments, Crossing Borders Education (CBE) developed an Educational Approach around creative tools that foster a Culture of Dialogue on campuses and support staff/faculty to build the skills and capacity to implement these tools for diverse student participants, while simultaneously upholding values of academic freedom. Our three feature films, 40+ short videos, online toolkits and facilitator manuals offer educational leaders, faculty and staff an effective array of engaging resources to train students’ social skills. All resources are designed flexibly and can be easily adapted to the specific needs of diverse institutions. David, Mercedes and Yan exploring together in Hong Kong in The Dialogue. Management & Leadership Toolkit to enhance social skills that prepare for the multicultural workplace. To cultivate constructive intercultural communication and cross-cultural skills on campus. To contribute to strategic plans for internationalization that support students to develop key social and leadership skills. To support faculty and staff in the creation of experiential learning opportunities in the classroom where students can address intercultural and diversity issues in safe and constructive ways. To develop a strategy and road map for curricular and co-curricular activities that engage, challenge and support the whole student body to actively grow skills that nurture a Culture of Dialogue on campus. Short videos such as Why Explore Diversity? 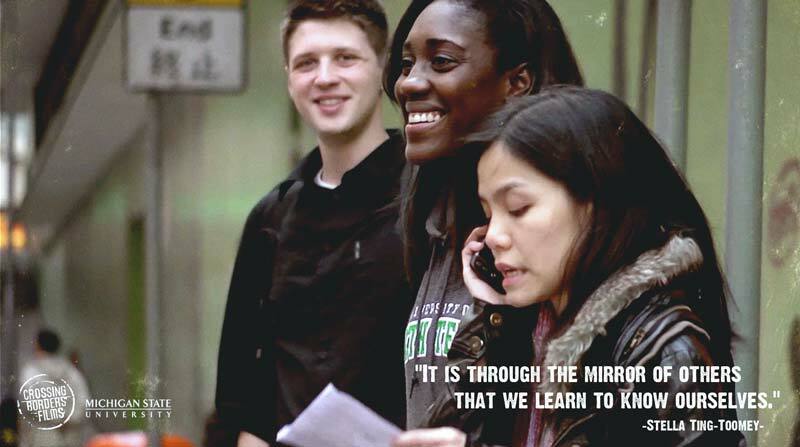 below, and creative resources such as our Quote Cards help students to get a glimpse of the potentials and perspective-enhancing impact of intercultural experiences on campus and abroad. More than 40 videos such as On Breaking Down Barriers below and our three intercultural feature films, provide students with a blueprint of honest, frank and constructive dialogues. Short activities such as On Stereotypes support faculty and staff with practical and engaging tools for the classroom. Our pages like Educational Approach and Diversity Curriculum Resources support educational leadership in developing a road map towards strengthened intercultural interactions and skills on campus. Resources such as our Diversity Curriculum Toolkit and its facilitator manuals are designed to support leadership, faculty and staff to include intercultural sessions into curricula. Our engaging, character driven, emotional documentaries Crossing Borders, The Dialogue and American Textures support institutions to host powerful screening discussion events that can reach the wider campus community, connect diverse student groups and interlink diverse subject areas. Touching students’ desire to live their full potentials by using the learning channel of personal growth and self awareness. Inspiring and challenging students towards civic engagement when learning about diversity and social justice issues. High-Impact Educational Practices such as: Learning Communities, Collaborative Assignments, Service Learning, etc. Facilitator Trainings for faculty and staff focusing on resources induction and intercultural facilitation skills. Salvador, Tarrah and Kenya visiting a community engagement project in Atlanta (American Textures).